The groundhog comes out, accompanied by some oddly furred gentleman in a stovepipe hat, sees his shadow, and declares 6 more weeks of winter. At least I hope he does - since when does winter end on Feb. 2? Groundhog Day is just a bastardization of Candlemas, which in turn is a Catholic take on St. Brigid's Day, which of course was originally a pagan holiday called Imbolc, dedicated to the goddess Brigid. Layers upon layers of legend laid down over the years, each with just a little truth left in it as the change is made. This festival is a time of dedication to artistic and spiritual pursuits. Decide what is important for you to do in your creative life in the upcoming year, light a candle, and meditate on it for a while. Can't hurt. Tomorrow I am going to give my friend Paula the grand web 2.0 tour. Help me know what sites to visit. What else? She is especially interested in sharing her music because she is a singer, composer and all-around musical genius. But then some friends sucked me into Twitter world a few weeks ago, and I made reluctant friends with the thing. Made friends, right. I took the first hit and soon began cooking it up and injecting every chance I got. Now Twitter is broken all the time. Last night for 3 hours, tonight for God knows how long, and I need my medicine. Instant messaging won't do it anymore. It has to be the real deal, the good stuff. Can't anyone score some Tweets for me? Good galoshes, Batman, but I HATE Snap.com You know, they make those little tiny annoying as hell screenshots that leap up when you hover over a link too long. WHO on earth needs this crap? Really, peepul, it makes me want to delete your RSS feed when you pester me with "Snapshots"(gag). I am also not so big on your truncated feeds in the feed reader. "Truncated" for those of you who didn't have Mr. Drew for English, means shortened, cut off to just a title or the first few lines. (I'm not condescending to you - I just wanted to give a shout out to Mr. Drew in heaven). I know you are afraid of having your preshus feeds scraped and re-posted by some Russian spamblog mafiosi, but can you do me a favor and get over it? Honestly, people, these click-thrus cost me time and TIME IS MONEY! The reason I can't afford that black truffle pasta sauce is because I am too busy clicking through to read your latest post. I am deprived of black truffles and it is ALL YOUR FAULT for clipping your feeds! The woman at work who stopped up the toilet, left the evidence in the bowl, and slipped by me, smiling shyly - hey, woman, it is YOUR responsibility to call building maintenance, not mine. Or you could have used the plunger that was RIGHT there in the stall but no, not you. That would have been GROSS - but not quite as gross as having your co-worker do an innocent "Oh they forgot to flush" flush and then having to wade through the lake of backed up sewage you left for someone else to deal with. Beeyotch. On the other hand, I really like the CommentLuv wordpress plugin. When you leave a comment on a blog that has it, the blog automatically tries to find a feed of your last blog post and makes a link to it. Sweet! Elizabeth from Table for Five was the early adopter on this one and I give her a big thumbs up for taking the plunge. Wow, does Queen of Spain have a tale to tell. She had the temerity to think that a silly little organization like BlogHer that only represents something like 13,000 women bloggers could DARE to send a reporter to the latest Republican debates. However, the Los Angeles Police Department denied credentials to both Katy and I on the grounds we are "online media" and BlogHer.com was not throughly investigated by the LAPD. This decision came suddenly after weeks of talks with LAPD personnel and assurances that Katy and I, as former Los Angeles news reporters, would be applying for a press pass "renewal" as we were simply changing our media affiliation. I don't know about you, but I get my news from the New York Times, the LA Times and the BBC. Maybe a little Yahoo, a little Fark. All online. Not print. Not TV. Online. Every. Single. Day. I think the LAPD has some catching up to do. I am making preparations to go to baseball spring training in Phoenix in March. Anyone else going? I always think fondly of Phoenix because I got a really good night's sleep there, the last full night of sleep I can remember. It was in 2003 at the Sheraton. Man, those Sheratons have some nice beds. I am, to put it mildly, a terrible sleeper. Verging on violent. I regularly wake up with blankets tossed on the floor, pillows scattered, even pillowcases removed. I thrash, I snore, I toss and wake up and walk around. I feel sorry for anyone who has to sleep in the same room with me. There are many, many reasons I am not dating. I was at an all-day work meeting and a box of See's Candy was being passed around. The woman next to me carefully selected a piece and took a bite. "Oh, my God, that's good!" she moaned. She then put the other half of the piece on a napkin, where it stayed until the meeting was over 4 hours later. She never ate the other half. I could not have been more stunned if she had gotten up and done the Soulja Boy Dance. I may be 40-something years old, but it had never once occurred to me to eat HALF of a piece of really good candy, a moan-worthy piece. I told my friend Alicia this story and she said "Wow, if I found a piece of See's Candy I liked, I would be rooting around in the box for more of the same kind before someone else got them." Exactly. You see why Alicia and I are friends. You can also see why we will never be mistaken for anorexics. So that's how skinny people do it (yes, the woman who ate half the candy was what we used to call in high school "A pick"). They simply eat less. A lot less. Crazy. Why didn't I ever think of that? To all the lovely Aussies (except New South Wales, who celebrated early) – Happy Australia Day. If I didn’t live here, I might well want to live there, considering that we have so many of the same good things – fine wine, beautiful beaches, eucalyptus trees – and that you have national health care, less religious fanaticism and a big whopping coral reef. This will begin an occasional series of tips, rants and things that run through my addled brain regarding the environment. I can't think too much about the state of the world before my stomach starts to knot up and I begin feeling a little woogy. Despite my general good cheer, when I think about the fisheries collapse,the ice caps melting, the loss of topsoil - it's all pretty hellish and alarming and it is easier to just go along singing "Tra la, tra la, I can't hear you! Everything is fine in my little brain." But I can only escape for so long, then reality creeps back in. Awareness stinks sometimes, doesn't it? If I only didn't have a brain I could be like Pres. Bush and live in ignorant bliss. 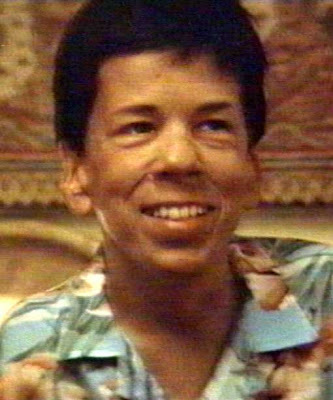 As one of my favorite all-time movie characters, Billy Kwan in "The Year of Living Dangerously," "What then must we do?" Better to light one candle than to curse the darkness, right? So along those lines, when Goldie and I go to the beach, I collect plastic trash. I just take a plastic shopping bag and fill it up while she searches for small furry animals to kill (please note: she is not a very efficient hunter. I estimate her walk to kill ratio to be about 450:1). Filling one bag takes about 5 minutes, usually, and I always find weird stuff, not just items you would expect to wash up with the driftwood. My oddest all-time find was a printer paper tray, almost intact. On our last outing it was an almost-full bottle of Mr. Clean. It didn't seem like it would float. Do people BRING bathroom cleanser to the beach for some nefarious purpose that I am too naive to think of? The Category of CrapTM I find most, though, is styrofoam bits. I can lean down and there will be 20 bits within the reach of my hand. It is a plague. It feels more soul-satisfying to pick up something fairly large like an empty water bottle, but I know that animals feed on styrofoam because I have seen them do it. The nasty stuff clogs their digestive systems and they die a slow, painful death. So I figure that every styrofoam bit I pick up is one less for a bird or turtle to eat. It is a bad, bad problem because the bits don't ever go away. They just get smaller and smaller and finally break into little styro-balls that look like tiny fish eggs to sea creatures, many of which, incidentally, LOVE to eat fish eggs. Have you heard of The Northern Pacific Gyre? It is a mass of plastic trash estimated to be twice the size of Texas (and as someone who has driven across northern Texas - which is the small part - I can safely say that is HUGE) swirling around the ocean, caught where 4 currents meet. Here's my plea - please consider banning styrofoam products from your life. If you go to restaurants or delis that use styrofoam packaging, ask them to make a change or go somewhere else. Think of an alternative. I carry my groovy insulated stainless steel coffee cup with me everywhere I go, so I figure I save a couple hundred to-go cups a year (considering the amount of java I consume). It has the added benefit of keeping iced coffee cold overnight and hot coffee warm for hours. 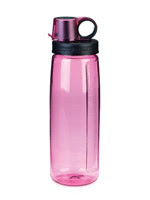 And while I am nagging you, fergoodnesssake, get a refillable water bottle . Is there some good reason every family should produce its weight in plastic disposable water bottles every year? If you're truly afraid of bad-quality water (and if you live in the US or developed world you probably shouldn't be), get a filtration system. You can save hundreds of dollars a year and all of the packaging, labeling, labor, energy and fuel costs that go into manufacturing little disposables. I kind of lust after these sexxay (ok, I'm weird about what is sexxay)Sigg Aluminum Bottles but I just can't justify buying one, considering the number of Nalgenes I have kicking around. My thrifty gene outweighs my need to be cool. Ok, enough assvice for one week. Go. Do. Baby steps. Make Suebob proud.